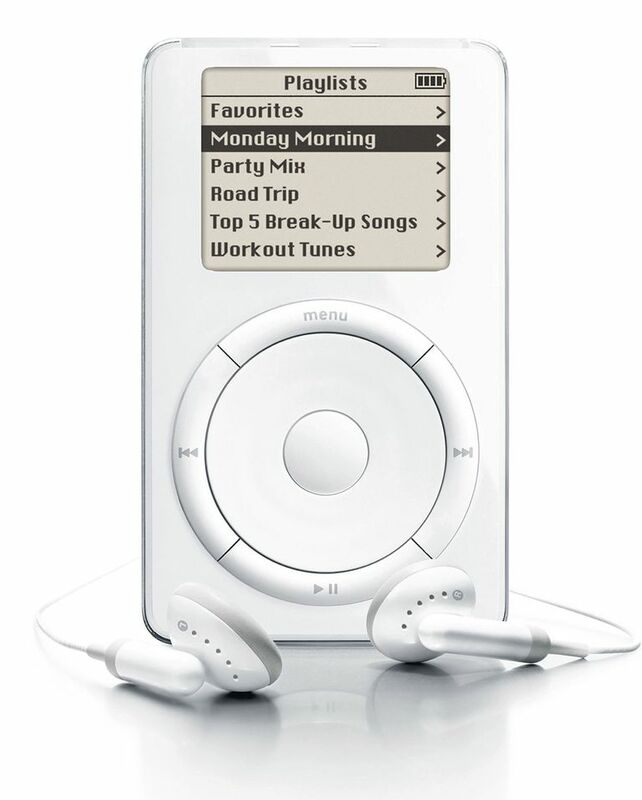 The Device That Started It All: The Original iPod. image credit: Apple Inc. The iPod has been an unquestioned and rarely equaled success. It transformed Apple, the way users interact with music, and when combined with the iTunes Store, the music industry itself. The speed at which its sales grew is almost impossible to believe for a device that costs hundreds of dollars and lasts for years. Looking at the history of iPod sales is impressive, especially the big gains in how many iPods have been sold worldwide in just a few quarters and years (check out the 8 months between March and November 2005: 15 million sold!). This list of the total number of iPods sold illustrates the growth of the iPod. The sales figures are based on Apple announcements (usually during quarterly financial reporting) and numbers are approximate. The figures listed here are cumulative; for instance, the December 2014 number is the total number of iPods sold from its introduction to that time. While the iPod product line used to include the iPod Classic, iPod touch, iPod nano, and iPod Shuffle, the lineup is shrinking. The Classic was discontinued in Sept. 2014 and only the touch has been significantly updated since fall 2012 (the nano and the Shuffle got new color options in July 2015, but nothing changed in their features or specs). Combine that with slowing sales of the iPod—only about 45 million sold in the 18 months between January 2011 and September 2012—and the continued explosion of the iPhone and it's clear that the iPod isn't the star it once was. All good things come to an end, and that's certainly true for the iPod. Despite selling more than 400 million units all time, the iPod is dwindling away, being replaced by the iPhone, which sells as many units in a quarter as the iPod often did in a year. After years of steady, quarter-by-quarter declines in sales, Apple stopped providing separate sales figures for the iPod in January 2015. It makes sense: why call attention to a once-proud line that's fading away? Instead, Apple now includes iPod sales lumped into the "Other Products" line in its quarterly financial reporting. That's a catch-all category for anything that's not an iPhone, iPad, Mac, or a service. There's no telling how much longer the iPod line will continue. It's a safe assumption that the touch will hang around for a while since it's so similar to the iPhone and still, reportedly, a good seller. There's clearly a market for the nano and Shuffle, too, or Apple wouldn't keep making them, but it's likely that the ultimate end of the majority of the iPod line isn't that far away.